Sometimes, as Busy Professional Real-Life Superwomen we live in fear and it can be a good thing because it gives us the chance to stop, think and re-evaluate our lives and what is triggering the fear. Unfortunately, many times we don’t allow ourselves to reflect on the fear and look at it as an opportunity for growth. Instead we let the fear take us over and keep us worried, stressed and stuck. I know there has been many times fear as stopped me. It has stopped me from sending letters or making calls to people, organizations or groups, where I could share my passion for doing health and wellness presentations and workshops, it has stopped me from asking for referrals for my business, it has stopped me from sharing my true desires with my husband and it has slowed me down from completing classes. In 2012, I was gifted a training workshop to become a Bellyfit instructor. I took the training, but did not complete the practicum portion for fear people would judge me. See the practicum involved me teaching eight dance/aerobic classes. The thought of teaching these classes brought up a lot of anxiety and fear because in the past I was told I didn’t have any rhythm or coordination. How could I effectively teach a class with a fusion of Bellydance, African Dance and Bollywood if I had no rhythm? I was afraid people would judge me or even worse laugh at me. I truly had some root (fear), solar plexus (difficulty letting go) and heart chakra (judgment) imbalances going on. Finally, this year I decided to retake the Bellyfit training and to teach the 8 classes. Why? Because 2016 was my year of completion and I have done a lot of work around embracing my fear and not letting it control me. You might be asking how did I let the fear go. FIRST – I looked fear straight in the eye, had a conversation with what was holding me back (vulnerability) and let it go. Now this wasn’t done overnight. It was a process of several months, examining what no longer served me and letting it go to make room for what I truly desired in my life. SECOND – I set up a plan so I wouldn’t look too foolish doing the class. This involved practice, practice and more practice. As well as inviting friends who loved and supported me to the initial classes. THE RESULT, as I write this blog I have completed all 8 classes and this past weekend did the final tapping to be submitted for review. If you are a Real-Life Superwoman are fears keeping you from living your fullest potential yet like me you would never know it. Why? Because it would make us look like we didn’t have it all together and that four letter word would slip in. VULNERABILITY. If you are like me and my clients below are some steps you can take to Let Go of Fear. What if I lived in the moment and wasn’t so worried about the future? What if I let go of fear? What would life look like if I let go of any doubt and trusted God and Source energy? What if I choose love instead of fear? If you aren’t aware of your fears, they will take over your life. The best way to let go is to be honest with yourself about what is upsetting you or making your scared. Take action. 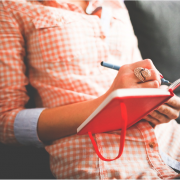 This means get a journal and write down the story you are telling yourself about the fear and then re-write your story where you have let go of the fear and are doing what your heart desires. You have the power to create a new story with a new ending. What do you choose to surrender? Find Gratitude for Your Fears. Within everything, there is a reason to be grateful. Everything leads to a beautiful transformation – even if it isn’t apparent yet. Make a list of your top three fears. Next to each, note how this fear has transformed you. How it has lead to growth. Why you are grateful for it. Be grateful for every opportunity. Every moment. When you can forgive yourself, you will see you have more energy, less stress and more self- love. What fears do you choose to let go of as you move into 2017? 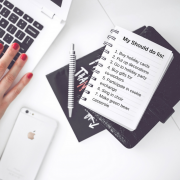 Do you have a “should do list” for the holidays? Things that you should do, but you don’t want to do or don’t like to do. It’s just been something you have done every year out of obligation. Today I spoke with a couple of my clients who said they felt stressed and overwhelmed about the holidays. They felt behind in all the things that “should” be done for the holidays. They had not bought or sen the holidays cards, put up decorations, or bought any gifts for neighbors. They felt even more stressed because the didn’t have the time or extra money to do these “shoulds”. I asked them why felt the need to do it. They felt it was something that had to do because they didn’t want people to think bad of them or it was something they had traditional done for years. Yet they admitted they would not want someone to buy them something out of a sense of obligation. They also would not get upset if someone did not get them a card or gift. They realized they were putting the pressure on themselves. I too have done this in the past not just around the holidays but throughout the year. Doing things because I “should” or because I wanted people to like me and not get mad at me. Now I try to only do things that make my heart sing. If it is not a hell yes it is a NO! and if people are going to get mad at me because I didn’t send them a holiday card well then I really need to re-examine that relationship. I have recognized over the years when I come from a heart centered place, with my list of things to do, what a difference it makes. I feel happier, more peaceful and in the flow. Isn’t that what this season is truly about? If you want tips on how to enjoy the holidays with peace and ease, while still getting all you need done with sustained energy and balanced, well nourished chakras, download Chakra Nourishing Guide. In this guide I will share what the chakras are, what happens to us Busy Professional, Real-Life Superwomen when they are out of balance during whatever holiday you might celebrate and what foods, lifestyle, movement and affirmations you can do to create healthy harmonious chakras. Pumpkin Spice Latte or Turmeric/Ginger Latte? I don’t know about you, but I have learned to appreciate the change in weather. Doesn’t it just warm you up and make you feel all tingly inside to see the beautiful red, yellow and orange leaves? Not to mention—how much I love all the warm seasonal foods at the local market. Me? I prefer to skip the PSL and you may want to as well. Especially when you consider that it contains caramel coloring, no real pumpkin, loads of sugar, preservatives and sulfites. Click here to read more about the ingredients in a Starbucks Pumpkin Spice Latte. 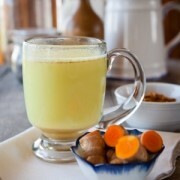 Instead, I prefer to warm up a big mug of Golden Milk (hint—it’s NOT milk at all) or what I call Turmeric/Ginger Latte to show my immune system as well as my root and solar plexus some good old-fashioned lovin’. Trust me, once you taste the frothy spiciness of this warm-your-belly herbal remedy…it’s sure to become your new fall staple. This is just one of the delicious chakra nourishing fall recipes from my Autumn detox program. This upcoming detox program is going to be the best thing that’s happened to you in a long time (it involves releasing weight, letting go of foods, lifestyle habits and thoughts that no longer serve you and bringing in colorful vibrancy and energy to all areas of your life). 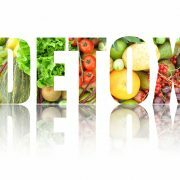 For more information about the detox program click here. Directions: Place first seven ingredients in a small pot. Warm on medium heat until hot. Put in blender or nutribullet (my favorite type of blender). Add honey and 1/4 cup of cold coconut milk. Blend for about 20 secs. Pour in your favorite cup and add a dash of cinnamon. Enjoy! The key to making this drink is blending all of the ingredients in a blender. This gives the drink a creamy, frothy like consistency. All I can say is delicious! I can’t seem to get enough. Here are the benefits of this tea along with what chakras the ingredients nourish. Turmeric – anti-inflammatory, anti-oxidant, and is liver detoxifier. Nourishes the root, solar plexus and third eye chakra. Ginger – anti-inflammatory, improves immune system. It also improves the absorption and stimulation of essential nutrients in the body, by stimulating gastric and pancreatic enzyme secretion. Nourishes the root, solar plexus and third eye chakra. Cinnamon – contains mineral like manganese, iron and calcium. Has anti-bacterial and antimicrobial properties. Is a antioxidant and also helps regulate blood sugar. Nourishes the solar plexus and third eye chakra. Cooler mornings, chillier nights, and blessedly balmy days, ah, autumn! We turned the seasonal corner just last week on September 22….can you feel the shift in energy? I was noticing the beginnings of the shift at the end of August: leaves were starting to fall and the heat of summer was waning. Now that we’ve reached the end of September, I can really see the change. The leaves are turning colors, the weather is brisk, the days are shorter and energetically I am slowing down. I wasn’t always so tuned in to the season’s slowdown. In fact, as a Real-Life Superwoman I’ve spent many years resisting autumn’s shorter days and darker nights, because they meant that winter was on the way. Why should that matter? At the time – like many Superwomen – I didn’t even realize that I was in conflict with the energetic flow of the year…but I was, and it was taking its toll. In traditional Chinese medicine, autumn is the start of the Yin time of year: a time to slow down, reflect, and replenish your body, mind and soul. Time to sleep more, meditate, and eat foods that are grounding. Problem is – when you’re enmeshed in this Yang culture, you aren’t willing to surrender to this kind of slowdown; you want to keep charging full speed ahead! So this Busy Professional Woman spent years fighting the Yin energy of autumn and winter…and as a result, often felt depressed, had a compromised immune system from constant activity, and was more vulnerable to colds and flu as a result. So today I want to share a couple of my favorite autumn foods and how they nourish your health, well-being and chakras. 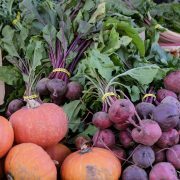 Beets – From their gloriously red root to their leafy top, these veggies offer a ferocious number of benefits. According to Mercola.com , beets help to lower blood pressure, boost stamina, fight inflammation, support detoxification, improve nerve and muscle function, boost bone strength, stimulate the production of antibodies and white blood cells, and ward off cancer and Alzheimer’s disease. They’re packed with fiber to keep our digestive track healthy and nutrients – vitamin C, potassium, manganese, and folate. On an energetic level, as a deep-crimson root vegetable they help to ground us by nourishing the root chakra. Butternut squash – With its hard shell and firm flesh, this is an easy food for long-term storage, providing our ancestors with a stable source of carbohydrates and fiber when fresh veges were scarce. Today, these winter squashes do more than their share in boosting your health: according to WholeLiving.com , it’s loaded with potassium, B6, folate, and carotenoids – essential for the functioning of your skeletal, cardiovascular, nervous and immune systems. Its high antioxidant levels help to reduce risk of rheumatoid arthritis, asthma, and other inflammatory disorders. With its high level of beta-carotene, butternut squash can help to protect against breast, colon, and prostate cancer and macular degeneration…as well as supporting fetal and newborn lung development. Its high levels of Vitamins A and C help to support the production of collagen, essential for healthy hair and skin. Finally, as a bright-orange food, it helps to nourish the sacral chakra, which helps keep us in the flow and connected with our creativity. Sweet potato – This is my all-time favorite autumn food…in fact I could eat this delicious vegetable any time of the year! And sweet potatoes are another nutrient-packed autumn veg: in fact, according to Mercola.com, they hold the record in their levels of Vitamin A – at 769% of the recommended daily value, only beef liver provides more. They’re also loaded with beta-carotene, Vitamins C and B6, and the antioxidant enzymes copper/zinc superoxide dismutase and catalase – boosting your immune system and all-over physical functioning and helping to fight cancer – as well as the protein adiponectin, which helps to regulate your body’s insulin production. As root vegetables, with their deep orange color, sweet potatoes support both the root and sacral chakras. Do you want to know more about how certain foods help nourish the chakras and as a result improve your health and well-being? If yes, I invite you to join my free 7 Day Autumn Chakra Smoothie Challenge, starting Oct 3! We’ve all done it – had the Midnight Munchies, the 2:00 p.m. Crash, and the 4:30 Grumpies…. gone rummaging through the pantry or perusing the canteen machines, and come away with a sugar or salt fix that jump-started our energy or calmed our craving, only to leave us hungry again an hour or so later..
Sure, you may be saying, I’m not proud of it, but when I’m lying awake obsessing over tomorrow’s presentation, falling asleep at my desk, or ready to snap at my coworker if she looks at me crosseyed, what’s the alternative? And whoever heard of going to the movies without popcorn, or Netflix without a snack and drink nearby? I hear you! 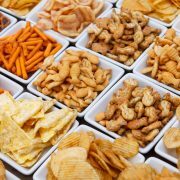 There are a hundred and one reasons for snacking, and most of them revolve in some way around keeping our mood and energy stable. The reality is – snacking can be a form of self-medication, an attempt to supply a genuine physical need….and it can actually be a self-defeating solution, as an National Institutes of Health study indicated that more calories, saturated fat, and sodium you eat, the more likely you are to suffer a bad mood two days down the road. So the Busy Professional, Real Life Superwoman’s key to healthy snacking is to find what your body is really looking for in the foods you crave, and then to satisfy that craving with the actual nutrients you need. Am I craving sweets to fill an emotional need, or numbing out a painful thought or feeling? 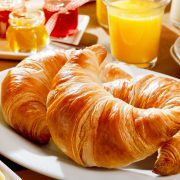 A landmark study by Judith and Richard Wurtman established that many people crave sweets and carbs at such times because these foods boost production of the “feel-good” hormone, serotonin. And according to biologist/author Deane Alban , your blues may actually be due to a serotonin deficiency. You can correct this with high-nutrient foods rich in calcium, chromium, folate, iron, magnesium, omega-3 fatty acids, Vitamin B6, Vitamin B12, Vitamin D and zinc, which support the production and regulation of serotonin. Or you can add foods rich in tryptophan, which is an amino acid that is a precursor for serotonin. A few foods rich in trypotophan are : eggs, poultry, beans, lentils and seeds. According to my mentor, Dr. Deanna Minich’s Whole Detox Program , you may also be seeking to satisfy other emotional needs with sweets and carbs: for example, many women turn to dairy treats for a sense of nurturance and comfort. Seeking out processed carbs with white flour may be a red flag indicating tension, a need for love, or putting out more energy than is coming in. And – not surprisingly! – chocolate may indicate a craving for love. But the “food of the gods” can be good for so much more…in fact, dark chocolate is high in many of those serotonin-boosting vitamins and minerals (not to mention a host of other nutrients! ), and the high-cacao/low sugar organic, fair-trade varieties can relieve your craving with just a square or two. The sweet-sweet milky varieties that you’ll see in the grocery store checkout aisle, however, may contain a raft of toxins, such as fat, fructose (the new name for high fructose corn syrup), and pesticide residues ….all factors that can prolong, rather than cure, a low mood. Am I craving salty foods to boost my energy? Very often salty foods are also crunchy (pretzels or popcorn, anyone?) which helps to relieve stress or anger by literally giving you “something to dig your teeth into.” Fortunately this is an easy need to satisfy – just chop up fresh organic veggies and sprinkle them with a little genuine sea salt. Am I craving spicy foods to dull pain or to fight boredom and apathy? Very often apathy is a symptom for something going on at a deeper level – depression, perhaps, or even an unrecognized illness. Spicy foods offer a long list of health benefits: for example, clinical nutritionist Dr. Josh Axe writes that cayenne can help relieve cardiovascular conditions, digestive issues, and chronic pain diseases such as fibromyalgia and rheumatoid arthritis. And of course we all know garlic, with its long list of immune-boosting properties, and ginger, renowned for reducing nausea, pain, and inflammation. The Indian Ayurvedic tradition is built around managing health through foods, and particularly spices…a worthwhile area to explore when you’re craving rich flavor. 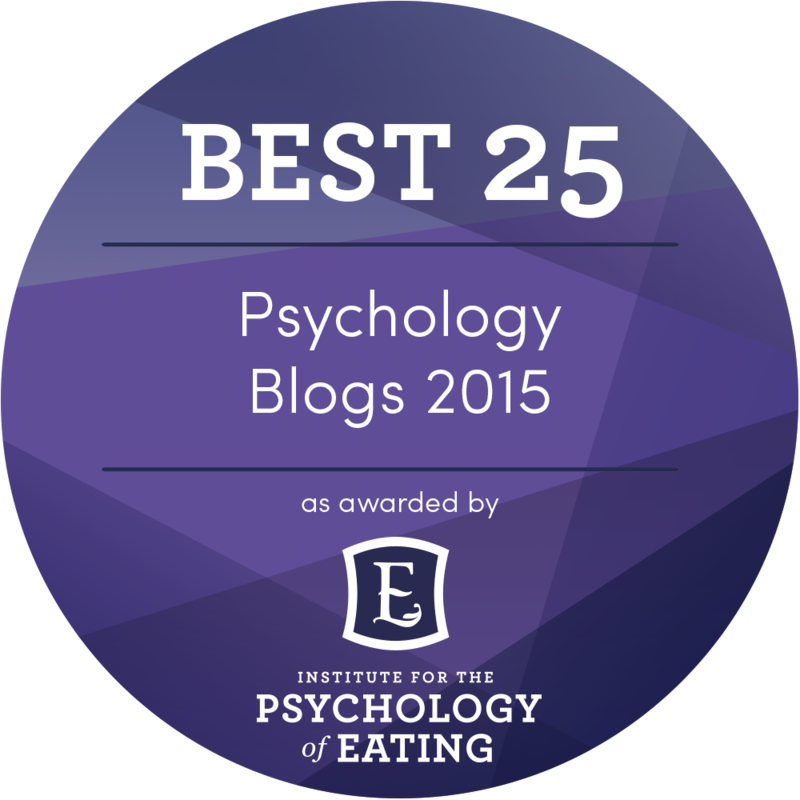 As I tell my clients – it’s all about transforming reflexive habits into conscious decisions…. Slow down, tune into your cravings and see what you really want. Enjoy them slowly and mindfully. If you need some On The Go Snack ideas, I have included a free gift with recipes below…and if you’re looking to learn more about the nutrients you really want based on the foods you crave, here’s a helpful chart to print out and post on your refrigerator. Boost Your Late-Summer Diet with Powerhouse Veggies! If you’ve been wandering through the Farmer’s Markets lately (as you know, my favorite activity! ), you’ve probably been seeing the explosion of colors as we move deeper into harvest time. Between the red grapes, tomatoes, yellow squash, zucchini, blueberries, and eggplant – just for starters – there’s something to nourish every chakra, not to mention every taste! So today I want to celebrate three of my favorite summer vegetables: zucchini and yellow squash, and eggplant, and see how they can give us Busy Professional Women more Zest and Harmony. First of all, both zucchini and yellow squash pack a multivitamin’s worth of nutrition into a slender, tasty few inches. According to the George Mateljan Foundation’s website, they’re high in carbohydrates, protein and fiber, as well as vitamins A, B1, B6, B2, and C; potassium, magnesium, manganese, folate, copper, and phosphorus; along with omega-3 fatty acids, zinc, niacin, and calcium, as well as the antioxidants alpha-carotene and beta-carotene. It would be hard to find a more nutrient-rich squash. And that’s not all! With their high levels of magnesium and potassium, both the yellow and green summer squashes reduce high blood pressure and the risk of heart attack and stroke, while their high levels of vitamin C and beta-carotene may also help to prevent the oxidation of cholesterol which can cause atherosclerosis, and their high folate levels help to remove homocysteine, which may contribute to the factors causing heart attack and stroke. The beta-carotene and vitamin C in summer squash have anti-inflammatory properties, helping to reduce inflammation and ease the symptoms of arthritis and asthma, while their high levels of fiber and water help to keep the gut functioning smoothly and prevent the onset of colon cancer. 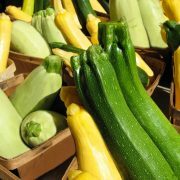 And diabetics get a special benefit from these powerhouse veggies: summer squash contains a unique polysaccharide structure that research demonstrates may promote better regulation of insulin and protection against diabetes. And what about the energetic level? Yellow squash helps to nourish the solar plexus chakra, coming into ripeness just at the turn of the seasons, when we need a strong power center at our core to help us set boundaries. How many Real-Life Superwomen I know (I used to be one!) who are giving a lot and don’t set limits to protect our energy levels! Then we wind up wondering why we’re stressed, exhausted and irritable – all symptoms of an unbalanced solar plexus chakra. With its green color, zucchini supports your heart chakra…perfect for supporting you through the emotional challenges of season’s change, whether you’re walking your teen through the end of a first summer romance, or entering new emotional adventures of your own. That heart-chakra support can also bolster you against the stresses of work, and gives you the extra “oomph” you need to make positive changes when needed. And then there is my other favorite summer vegetable, eggplant! Technically, eggplant is neither a squash nor a vegetable – it actually a fruit and belongs to the nightshade family of fruits and vegetables, which also includes tomatoes, bell peppers and potatoes – but I use it in a lot of recipes with summer squashes (ah, ratatouille! Eggplant/zucchini/tomato tian! Grilled veggie kebab!). But like summer squash, eggplant packs a powerhouse of nutrients into that glossy purple or blue/black teardrop: fiber, copper, vitamins B1, B3, B6, and K, manganese, potassium, and folate, according to the George Mateljan Foundation’s website. It also contains a important phytonutrients, including phenolic compounds such as caffeic and chlorogenic acid, and flavonoids, such as nasunin. So what does this do for you? First, some of these compounds are powerful antioxidants, protecting your cell membranes from damage by free radicals. So eggplant is a potent ally against cancer, microbial infection, “bad” cholesterol, and viruses…as well as high blood pressure! One of these phytonutrients, nasunin, also acts as an iron chelator, removing excess iron from the bloodstream, thus reducing free radical damage to joints, which can cause rheumatoid arthritis; and preventing cellular damage that could lead to cancer. On the energetic level, since eggplant is a blue/purple color, it nourishes the third eye chakra, helping us to listen to our inner wisdom and trust the process of life…key skills which are many times forgotten or undervalued by us Real-Life Superwomen. Below are just a few ways to incorporate these nutritional powerhouses into your diet! Make “pasta” with zucchini and yellow squash. You can either make it with a Spiralizer or Julienne Peeler. Sauté all three vegetables or just one of them such as eggplant with onions, garlic and tomatoes. What is your favorite summer squash and summer squash recipe? According to Traditional Chinese Medicine foods that produce HEAT are considered YANG foods and foods that are COLD are YIN in nature. The heating and cooling effect of foods refer to their capacities to generate either hot or cold sensations in the body. Yin foods moisten the body and are generally low in calories and rich in potassium. Yang foods warm the body and can be drying. They are higher in calories and sodium. Below are a list of cooling foods and the chakra it nourishes. 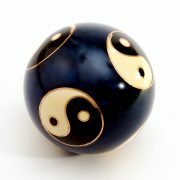 What are your favorite yin foods and which chakra (s) does it nourish? Share in the comment section below. Reclaim Your Balance – and Your Power – in this Election Year! 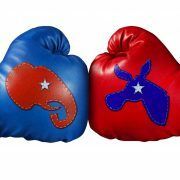 If you, like most of us, have been watching our national political conventions, you’ve probably been cycling through a whole gamut of emotions – I know I have! And from what I’ve seen, some of the strongest emotions on display have been anger….chaos….frustration…separatism…and fear. Let’s skip all the political reasons why voters are feeling these emotions so strongly this year…that’s a whole other discussion! What I want to look at right now is the energetic reason. As a nation, I feel energetically our root chakra is totally out of balance, and has been for centuries. There have been pockets of time when it seems to be more out of balance than others. Such as the last couple of months. There has been struggles for equality, innocent people being killed, Black Lives Matter protests, the argument over gun control, terrorism…. and much more. What are the giveaway signs of an imbalanced root chakra? You guessed it: all of the emotions we’ve been seeing – and feeling – during the the last couple of month as well as the two conventions, and the primary elections leading up to them. In fact, the campaign talk, on one side more than the other, seems to be aimed at aggravating this imbalance, triggering deep-seated concerns about safety and survival which can show up either as excessive fear or as aggression and defensiveness. Not pleasant feelings to experience….and they lead to unpleasant – even tragic – outcomes. So what can we do, as Busy Professional Women, to balance our own root chakras and avoid getting caught in this chaos and election-year spin? During chaotic times it is important to do things that nourish your root chakra and ground yourself so that you can remain rooted in the present moment. Your groundedness can have a ripple effect on your friends, family, community and the nation. Believe me, I’m right there with you in this! My heart has been feeling tender, and I have been feeling highly sensitive….so I have been taking proactive self-care actions to remain focused, grounded and present despite the crazy energies of these times. Every morning, I meditate and rub essential oils such as as Frankincense, Lemongrass, or Cedarwood on my hands, feet and spine. My root chakra has been calling for root vegetables such as carrots, potatoes and beets, and so I have been listening to my body and adding these to my diet. To nourish my heart chakra to withstand the ugly political talk, I have been eating more kale and spinach. Cucumbers have also been nourishing my heart and cooling my body and emotions. Because the stress of current events can help to cause more inflammation and risk of illness and dis-“ease”, it’s particularly important to make sure our meals are filled with nutrient rich foods: these help to boost the immune system which in turn nourishes our root chakra. Imbalance in our root chakra also throws other chakras into imbalance, and I see both my clients and myself becoming more emotional over the tension and chaos in our nation. This indicates imbalance in the sacral chakra, where emotions are held. Because, as women, we tend to hold our emotions in our hips (which also hold the stress of long-term sitting jobs), I’ve been recommending and doing exercises that move and open the hips and release those emotions and stresses. Bellydance is a wonderful practice for this purpose, with its wealth of hip shimmies and circling. Depending on the nature and strength of the emotions you need to work out, and your own fitness level, other options can range from yoga to barre exercises to kickboxing. Bottom line? It’s easy to feel helpless, caught up into the emotions that are sweeping the nation. But as Busy Professional Women, we have a responsibility to ourselves and others to claim our own power and autonomy and manage our emotions rather than letting them control us. Ultimately this helps us to remain clear-headed and make good, positive choices, for ourselves and for the nation! Do you need some support in reclaiming your energy, vitality and power? If yes, allow me to support you with my 90 minute Jump Start Your Energy and Vitality Session. Click here for more information.